I'm going to start a new segment called 'Picture of the day'. It should be lots of fun! We'll start with today's picture. We may not have one every day, in fact it'll probably be mostly on weekdays. 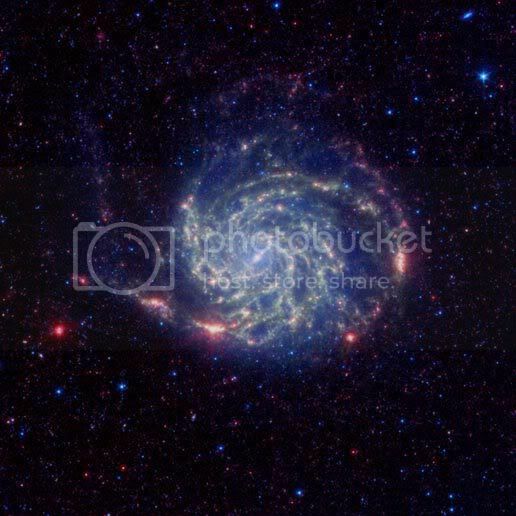 M101 in infrared. Spitzer Space Telescope data indicates that the red regions along the edge of the galaxy do not hold a significant amount of organic matter, while the blue inner region does have organic matter.